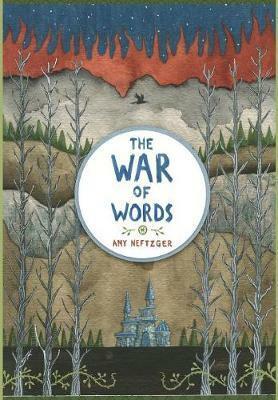 Neftzger's fantasy novel refreshes the conventions of the genre while meeting readers' expectations of it. As a lead fighter in the king's war against "the sorcerer" and his shadows, Kelsey must obey her general's orders and report back on the number of casualties in each battle. But when a usually mute shadow speaks to her, she knows something has changed. And another strange sight--an obscured figure with a shadow companion feeding pieces of parchment into a fire and whispering a strange spell-like poem into the flames--has her considering the rumors about a mysterious book that no one can read, one that supposedly holds the secret to winning the war. Although the general refuses to listen to her, Kelsey has resources outside the battlefield.Nicholas and his friends and teachers (and a talking gargoyle named Newton) from his old academy have gathered together by way of "scrying," or peering into a magic bowl filled with water in which they can hear and sense but only sometimes see each other.Kelsey's information gets the group wondering about how they might assist in the battle against the sorcerer's illusions and deceptions, while Kelsey tries to decipher the words written on the parchment she steals from the strange figure. What they find will depend upon their understandings of magic, reality, and truth, and it will irrevocably alter each of them--and the world. Neftzger takes popular elements of modern fantasy--the battle between truth and artifice, a plucky yet troubled protagonist, a group of bookish friends, a talking nonhuman entity--and creates a new landscape that will delight genre fans. While the prose sometimes takes a stilted, expository tone, Neftzger often transcends it with fresh images: "What made everything worse were the burrs that blew onto the battlefield and stuck to the soldiers' clothing. It was like a storm of little sticky balls that were somehow carried on the wind, but also heavy enough to weigh down the soldiers." The climax, in particular, affirms the power of language and storytelling. Engaging characters and an imaginative plot make for a satisfying read.